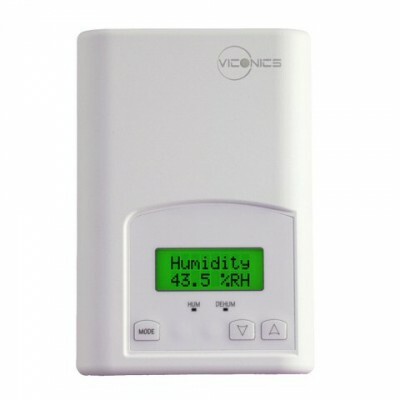 All HWS Series institutional grade relative humidity/temperature transmitters are designed to meet the rigorous needs of pharmaceutical labs, hospitals, science labs, and other settings that call for precise environmental control. Internal jumpers control access to a feature that allows adjustment of the calibration offsets. The devices can also be made tamper resistant using a jumper to disable keypad programing functions. HWS models are calibrated with NIST traceable calibration equipment. The setpoint relay models also offer thermostat or humidistat functionality. Two separate relays can be configured to control heating and cooling when in thermostat mode, or humidifying and de-humidifying when in humidistat mode.